British, enigmatic and passionate DJ, Live Artist, Vocalist and Producer Thomas Gandey (also known as Cagedbaby) has gained a cult status globally having released a plethora of club hits in his career with his deep tech house grooves. In early 2017, he released the massive hit ‘Love Machine’ on Noir and continues to release in heavy rotation on the world's best dance labels; including Planet E, Crosstown Rebels & Desolat as well as being a core artist on Get Physical, Einmusika (to name but a few)l and scoring numerous Beatport top 10’s. As a producer, Thomas Gandey continues to collaborate with a diverse range of artists, and has recently released a strong of EPs dominating the Beatport chart, with Olivier Giacomotto & German Brigante. 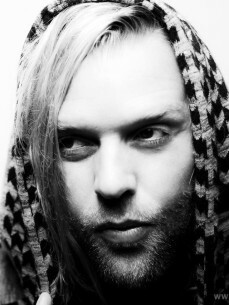 He is also one of the most demanded vocalists in the underground scene providing featured vocals for artists such as Hot Since 82, Blondish, Pleasurekraft & Coyu; In 2015 he and compadre Radio Slave released their collaborative album Project ‘Matom’ on Carl Craig’s Planet E, leading to a string of live shows including the Berghain and the Red Bull Music Academy. The pair also produce techno together and have released a number of remixes as ‘Last Communication’ ‘including the DJ Mag award winning absolute monster ‘Lets Prance’ on Crosstown Rebels. Under his Cagedbaby alias Thomas released two Albums on ‘Fatboy Slims’ Southern Fried Records. The first Cagedbaby' album was released to critical acclaim (the finest beach club record we've ever heard - (Q magazine ****) and resulted in touring the world live and as a DJ extensively, initially supporting The Chemical Brothers, Fatboy Slim and Underworld on World tours and playing main stages at most of the major festivals. Still releasing as Cagedbaby the latest single ‘Loving you Baby’, which will be re-released on Toolroom records, continued to dominate the ITunes chart 6 months after its release. Now on Decca Records you can find new releases showing the more eclectic side to the enigmatic producer. Always pushing technological boundaries with his trademark DJ style he has forged a successful international DJ career seeing him returning as a regular to Pacha & Destino's Ibiza, Razzmatazz and Ministry of Sound often playing live as well as DJ'ing. Thomas has had two Essential Mix's on Radio1 as well as cover mixes for DJ mag and as a producer has produced albums for David Byrne, Fatboy Slim & Tracey Thorn as well as taking time out to engineer the remake of the ' Jeff Wayne's ' War of the Worlds' which was again a platinum record in 2012.